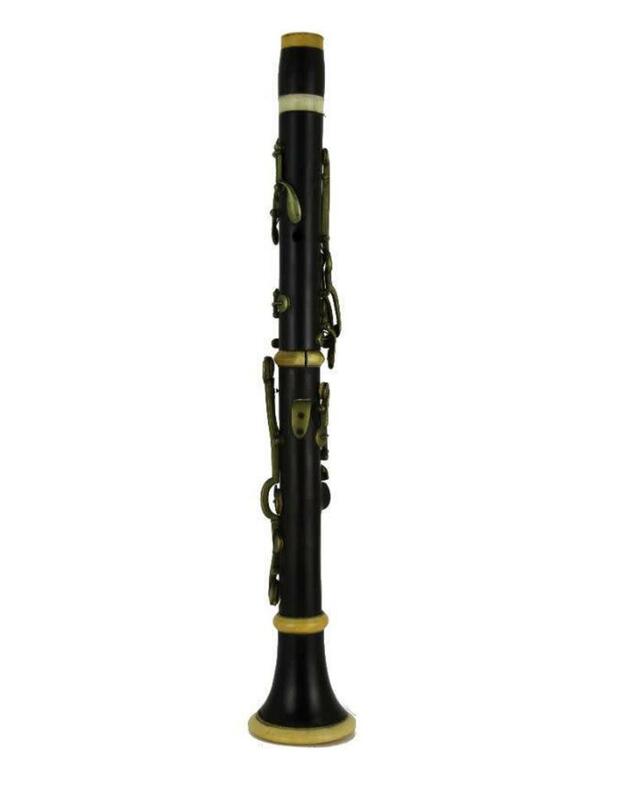 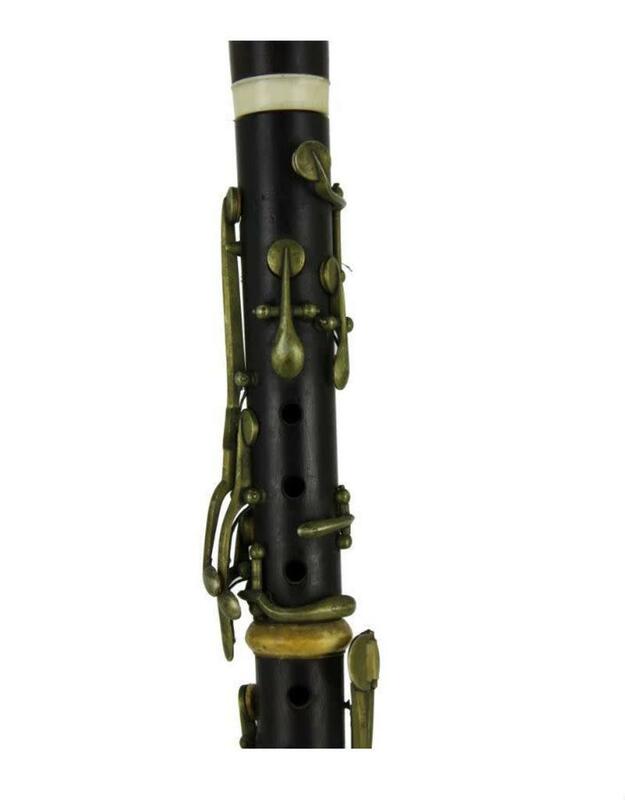 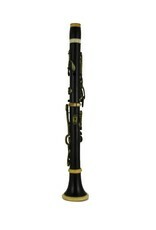 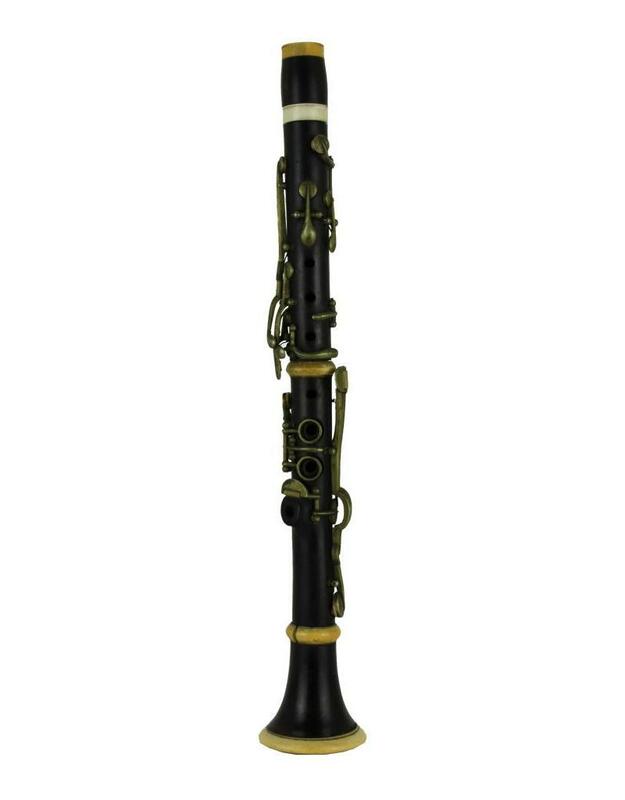 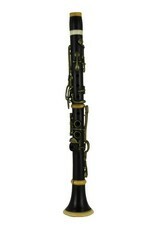 This clarinet was built by Franz Kaiml, who was active ca. 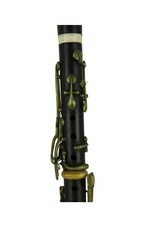 1859-1915 in the Budapest area. 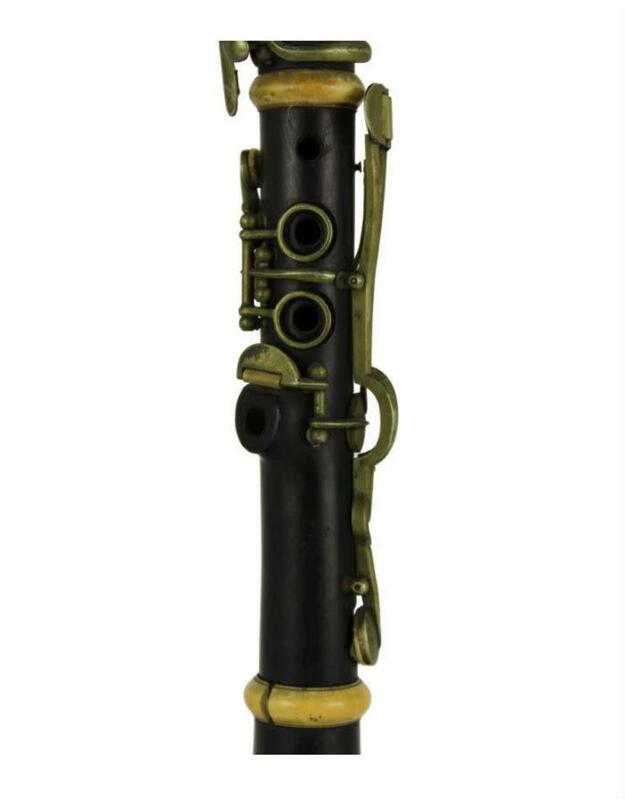 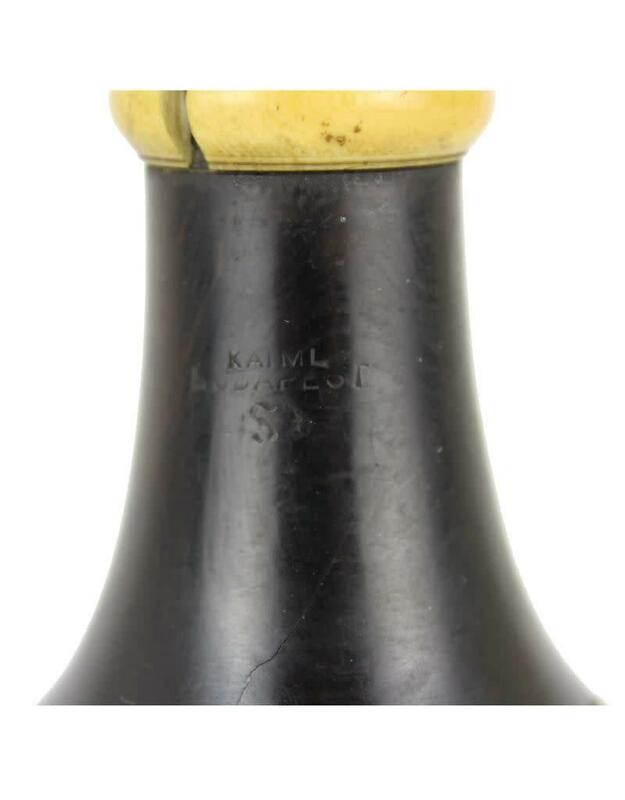 Kaiml was well regarded for his clarinets, but also made other woodwinds and brass instruments. 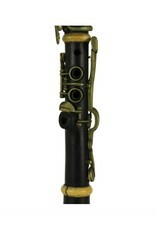 The clarinet uses a modified simple system and is in restorable condition. 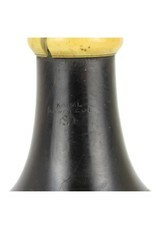 Noteable cracks on the tenon rings.